Since 1986, husband-and-wife team Drs. 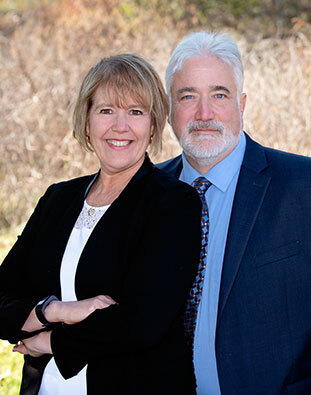 Greg and Kim Stetzel have delivered high-quality chiropractic care to patients wishing to improve their health, optimize their wellness potential and live a more rewarding life. At Branchville Family Chiropractic we warmly welcome every member of the family, from newborns to great-grandparents. We emphasize a gentle and natural approach to health care, with a particular emphasis on prenatal and pediatric chiropractic. Dr. Kim is a second-generation chiropractor, and she knew from a young age that she wanted to be a chiropractor. “I got to see, firsthand, the difference this wonderful profession made in the lives of others.” True to her word, Dr. Kim received her Doctor of Chiropractic degree from Life Chiropractic College in 1984. Dr. Greg’s path to his future profession wasn’t quite so direct. When he was 5, he was diagnosed with a heart murmur and taken to a hospital. He remembered how frightened and confused he felt during the testing, and how none of the medical personnel talked to him. When he got home, he announced to his mom, “I’m going to be a doctor when I grow up.” What he didn’t share was that his newfound dream was spurred by his desire to take care of kids and make sure that they felt safe. At the age of 19, Dr. Greg developed spastic colitis. He received drug therapy every two weeks for this painful condition, to no avail. After two years, his dad literally dragged him to see a chiropractor, who, in just one visit, changed his life. “I remember the doctor handing me a pamphlet for Sherman College of Chiropractic after that first adjustment. Two weeks later, I was enrolled.” Dr. Greg earned his Doctor of Chiropractic degree in 1983. We love to help people through the safe, natural application of chiropractic principles and practices that lead to the re-awakening of every person’s inborn power of self-healing. We always stress that it’s not how you feel but how you heal that makes the real difference in your health and well-being. Both Drs. Greg and Kim are old-fashioned in their love of community and dedication to their profession. The twosome are renowned speakers and seminar instructors, as well as members of their local Rotary Club, the International Federation of Chiropractors and Organizations (IFCO) and the International Chiropractic Pediatric Association (ICPA). They’ve also served appointed terms on the New Jersey Board of Chiropractic Examiners. Founding and current chairman of the Chamber of Commerce Wellness Committee. The doctors are also the Founders and host of Branchville Community Day, a celebration of the town of Branchville and its rich heritage in Sussex County. Drs. 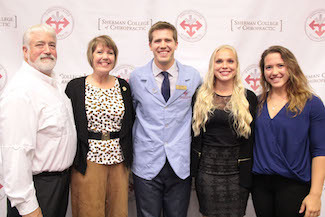 Greg and Kim are the parents of Dr. Billy, a 2017 graduate of Sherman College of Chiropractic and Danielle, a 2018 graduate of Sherman College of Chiropractic. Dr. Billy and wife, Katelyn run a family practice in Morristown, NJ – Free Flow Chiropractic www.freeflowchiropractic.com. Dr. Danielle is developing a practice in Spartanburg, SC. In her free time, Dr. Kim enjoys exercise and getting out to walk her dogs on a variety of nature trails. Dr. Greg is an avid outdoorsman and plays trombone in the Franklin Band, the longest standing community band east of the Mississippi. He is also a 2nd degree Black Belt and an Eagle Scout. He was a Boy Scout leader for 16 years for Branchville Boy Scout Troop 180. 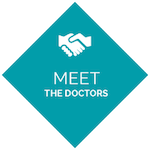 Our practice features on-site X-ray and we accept most insurance, including Medicare. We’re open late for your convenience.